The population of North Sumatra has five ethnic groups that speak different languages, has other beliefs; there are differences in their arts, system of customs and culture. Sumatra is one of the biggest islands of Indonesia and it has many things to offer for tourists. Today we would like to present you the top 5 tourist attractions in North Sumatra. These include National Parks, animal farms and rehabilitation centers, lakes and waterfalls and old traditional villages. 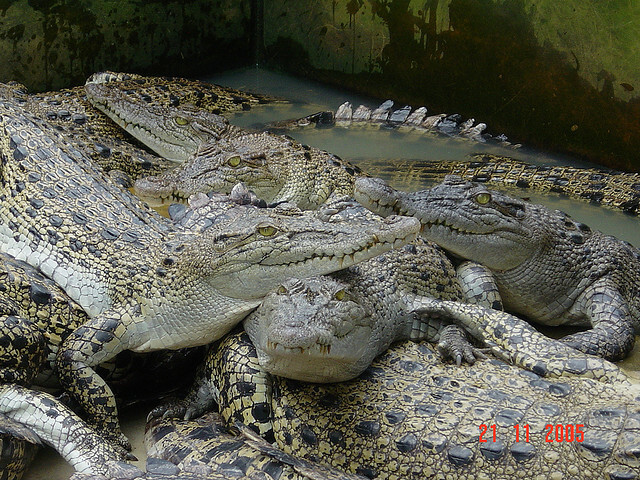 The crocodile farm in Asam Kubang in one of the most famous tourist attractions in North Sumatra and is located at 10 km from the heart of the city and has nearly two thousand different types and sizes of crocodiles. It is oppened from 9 am until 5 pm. 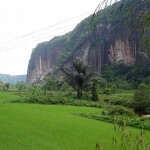 The Lawang Hill is located at about a 3 hours drive from Medán. Its main tourist attraction is the Orangutan Rehabilitation Centre. 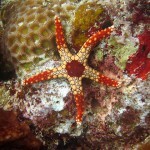 The center lies in the southern corner of the National Park on the Leuser Mountain. Brastagi is the wonderful tourist destination of the Karo highlands, and it is located at 70 km from Medántól on the way to Toba Lake. It is famous for its flowers, fruits and vegetables; one of the most outstanding of these is the marquisa (passion fruit). The daytime temperature is very pleasant and the nights are relatively cool. On a clear day you can see the Sibayak and the Sinabung Volcanoes from the Guandaling Mountain. There is built in a colonial style hotel with a golf course. 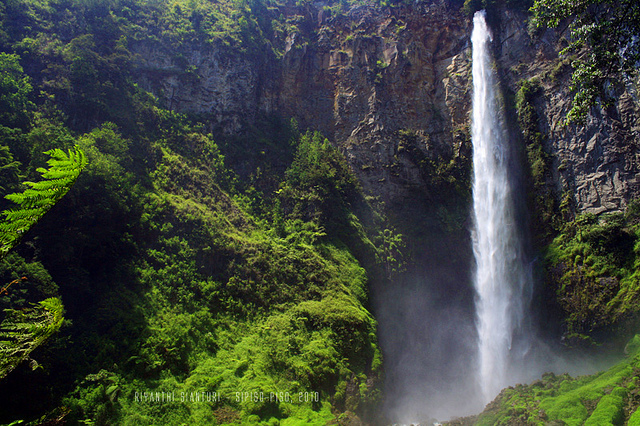 The Sipiso-piso is a 120 meter high waterfall and it is located on the north shore of Lake Toba, at 24 km from Kabanjahe. The best view of the waterfall you will get from the pavilion near the souvenir shops and eating houses. Lake Toba is the largest lake in Southeast Asia and the deepest lake in the world with a surface of approximately 1145 square kilometers and a depth of 450 feets. Parapat is the main resort town of the lake. The air is cool and dry, it is ideal for a quiet break. You will find here hotels, bungalows, villas and guest houses. Parapat is located at 176 km from Medan and can be reached in four hours by bus. The Samosir Island is a famous tourist attraction in North Sumatra and lies in the middle of Lake Toba. 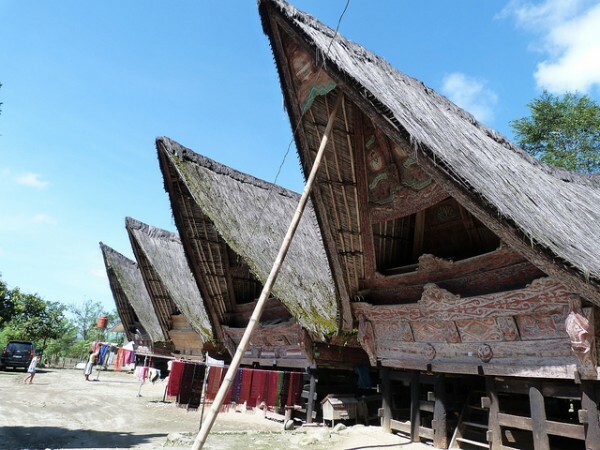 It is the homeland of the Toba batak warriors. You will find here many stone tombs and village that still live according to the old traditions. The most famous settlements are: Tomok, Tuk-tuk, Siallagan and Ambarita. The Jangga village is located at 24 km from Parapatt at the foot of the Shimane-Manuel Hills. It is famous for its beautiful woven fabrics. 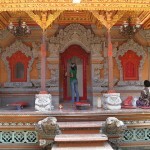 You can also visit the monument of King Tambun and King Manurung. There are also beautiful traditional houses. Lingga is an old and still inhabited Karo village that remained in its original form, located at 15 km from Brastagi. It is a really interesting tourist attraction in North Sumatra.